Protect Ningaloo is a grassroots initiative by ordinary people who are inspired by one of the world’s last great places and want to protect it. We are supported by an alliance of community groups and charities. Cape Conservation Group is a volunteer organization based in Exmouth. The Conservation Council of WA is the state’s premier environmental NGO. The Australian Marine Conservation Society is the nation’s peak marine charity. All of these groups were members of the historic Save Ningaloo Reef campaign that ran from 2000-2005. We’re supported by scientists, researchers, tourism operators, rec-fishers, birders and enthusiastic amateur nature lovers from all over the world. We’re strapped for cash, short of time and we’re in the fight of our lives but we hope you’ll feel the passion and help us however you can. We want to put the welfare of the Reef, the Range and the Gulf first in all development decisions. We’re determined to protect and preserve the extraordinary ecosystems that make up the Ningaloo Region. But to do that we need to restore some precautionary principles to coastal planning locally. We need to tell the WA and Commonwealth governments that Ningaloo’s Nursery needs protection not industrialisation. We want to celebrate a wonder of the world and save it from degradation. The only way we’ll achieve that is to get the news out and rally the passion of people like you. Protect Ningaloo supports a sustainable, creative future for the region. Exmouth Gulf is a rare and precious estuarine system in Australia’s north west. Surrounded by mangroves, white beaches and rugged ranges, it’s home to hundreds of incredible species of sea life. Still unspoilt by development, it’s crucial to the health of nearby Ningaloo Reef, one of the world’s last healthy coral reefs. Ningaloo Reef and the Cape Range are already on the World Heritage List. But the IUCN says that the Gulf has World Heritage values too and needs more protection. Scientists regard the Reef and the Gulf as critically interconnected systems. The Gulf is where the fish, sharks and crabs are born. It’s where humpback whales come to give birth and nurse their calves. It’s a playground for humans, too, supporting the sustainable eco-tourism hub of Exmouth. This is where you go to see dugongs, manta rays and leaping whales. But now oil and gas players want to open the Gulf to industry. Proposals that would never be contemplated at the Reef are now being actively promoted for Exmouth Gulf. The Shire of Exmouth is considering planning amendments that open the door to industry in Exmouth Gulf. Until recently this was considered unthinkable. Subsea 7, a multinational company, wants to build an oil and gas pipe assembly plant and launch site at Heron Point, a secluded bit of beach and bushland in the southern part of the Gulf. Huge lengths of steel pipe will be assembled on land and rolled to the shore on rail lines to be launched from a 350m rockwall. Then the pipes will be dragged along the seabed approximately 1.5 kilometres until they’re floated. After that they’ll be towed by tugs through the whale nursery and dugong foraging grounds and dragged through the World Heritage Ningaloo Marine Park before being hauled across the horizon to offshore platforms up to 2000 kilometres away. Locals, tourism operators, rec-fishers and scientists are aghast. Just when Ningaloo’s Nursery could do with extra protection this rich ecosystem and the iconic nature tourism hub that depends on it are put at risk. And it if it goes ahead it will pave the way for more of the same. Something remarkable and unrepeatable could be ruined forever. 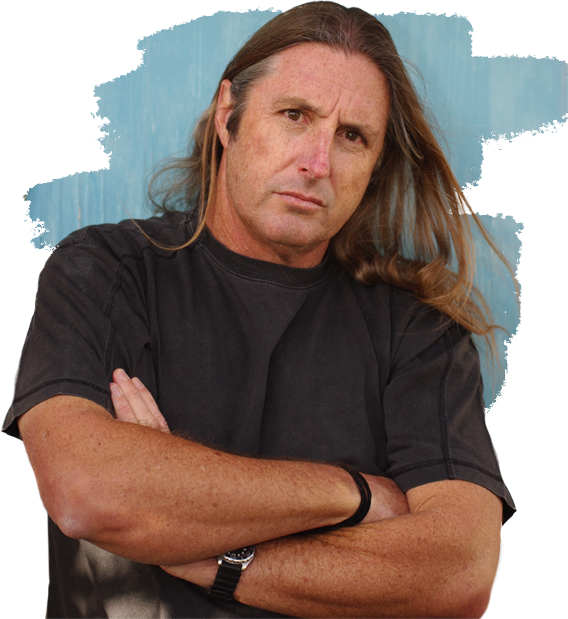 Australia’s most famous author, and listed as a Living Treasure by the National Trust, Tim Winton has been a conservation advocate for 25 years, and was prominent in the historic Save Ningaloo Campaign in the 2000s.